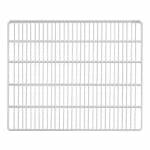 Turbo Air 30278G0700 Wire Coated Shelf for Turbo Air TGM-11RV, 14.5" x 20"
Wire Coated Shelf for Turbo Air TGM-11RV, 14.5" x 20"
The Turbo Air 30278G0700 wire shelf is polyethylene coated, which helps protect the steel wire from corrosion. Designed to fit in the TGM-11RV-N6 merchandiser as a replacement or to add extra storage space, its white color helps displayed products stand out. The shelf's open design facilitates airflow, which helps ensure proper holding temperatures throughout the cabinet without overworking the refrigeration system. 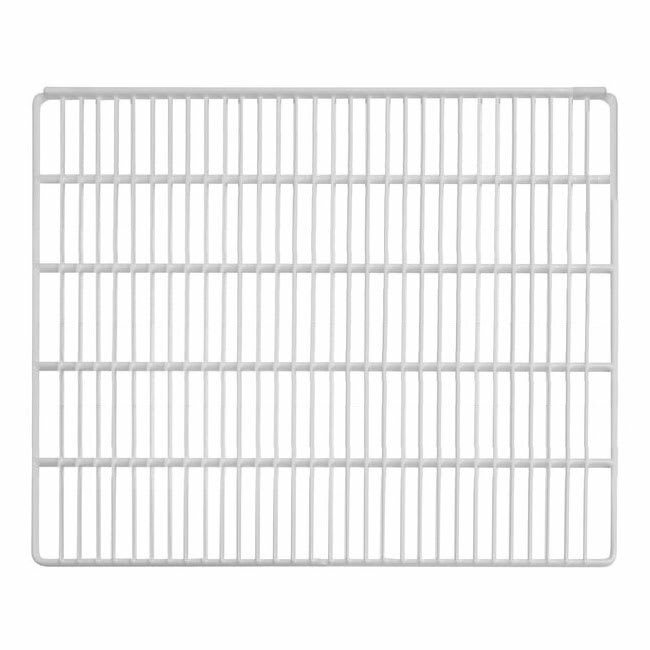 The polyethylene coating on the Turbo Air 30278G0700 coated wire shelf protects the steel from corrosion. The shelf is shipped with four clips to hold it in place. Overall Dimensions: 20 in. x 14.5 in.